You must make reservations at least 5 minutes in advance of the time at Brunello Trattoria. Come in Wednesday nights and receive 30% off any bottle of wine from our full wine list. Come in Tuesday and Thursday nights and enjoy a 3 course menu for only $25 per person! Call the restaurant for details or find the menu on our Facebook! Brunello catering can now bring our fine foods of Southern Italy to your home, office, park or any other special occasion. Join us for your business meetings, birthdays, family reunions, and other special occasions in our private room. We can set up a pre-fixed menu or your party can order a la carte. The married team of Cinzia and Bruno Morra came to the United States in 1985 with the intention to share their culture with Los Angeles. Today,the family opened up Brunello Trattoria and expands their empire to the eastern edge of Culver City to turn out solid southern Italian food. Cinzia, the chef, manages the kitchen and prepares fresh pasta sauces that are made to order and Bruno and son, Daniele run the dining room. Pictures of Naples give the restaurant a traditional feel, while the central bar offers a social dining option. 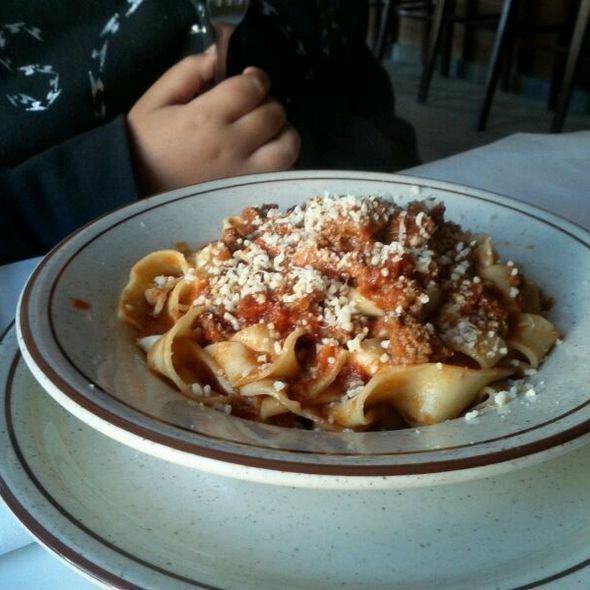 Come in and join us for lunch or dinner to meet the family and experience real homemade Italian food! (soup of the day) Minestrone or chef's choice. Artichokes, arugola, shaved parmesan, garlic and lemon dressing. Fresh tomatoes, garlic, olive oil, clams, mussels, hot pepper, parsley. Chichen breast with lemon sauce and capers, served with spinach and roasted potatoes. Roulée of chicken breast stuffed with prosciutto, marinated eggplant and smoked mozzarella in a Dijon mustard sauce. Served with spinach and roasted potatoes. Roulée of chicken breast stuffed with goat cheese and steamed spinach in a marsala wine sauce with mushrooms. Served with spinach and roasted potatoes. Tomato sauce, artichoke, eggplant, basil and mozzarella. Tomato sauce, eggplants, spinach, mushrooms, onions, chopped tomatoes and mozzarella. Tomato sauce, garlic, oregano, capers, black olives, hot pepper. Anchovies upon request. 1/4 tomato sauce, capers, black olives, oregano, 1/4 mushrooms, prosciutto, mozzarella, 1/4 artichoke, eggplant, mozzarella, 1/4 margherita. Mozzarella, ricotta, fresh tomatoes and salami. Broccoli Rabe, Italian sausage and smoked mozzarella cheese. Shredded marinated chicken, arugola and mustard. Pounded beef tenderloin, grilled with herbs, lettuce and tomato. Arugola, tomatoes, eggplants, goat cheese, oil and balsamic vinegar. My first time at Brunello for a business lunch. The waitress was very friendly and accommodating, the food was very good. I am for sure will go back there again. A family package: the husband runs the business (and sometimes cooks), the wife is the chef, and the daughter greets and waitresses. Can't go wrong to enjoy lunch or dinner. Brunello Trattoria had the best pasta we've ever had at a restaurant, and we have eaten at many italian restaurants across the country. You did not want to eat this pasta quickly, but savored every bite! The service was outstanding and the ambiance as well. This is a gem in Culver City that you won't want to miss. Great value as well. We were up from San Diego attending the two day Theodore Payne native garden tour and this meal was the perfect end to a glorious day of gardens. Two thumbs up! Consistent in their offerings and service. A good neighborhood place to frequent. Made myreservations for Friday night at about 4 pm Friday. No problems with space. Parking outside is free after 6. We arrived at 645 for our reservation and were given choice of three tables - all would have been fine. Excellent service and food. Bread is outstanding. Great dressing on salads. Mains were hot and tAsty. Chocolate heart with raspberry center for dessert. Only problem was noise level - loud - but that is common these days. Overall excellent and will visit again! Brunello’s never disappoints. Seriously the best risotto. And the bread-OMG!! Only been twice and both times has the same experience. It took over an hour to get our entrees. Poorly, poorly managed place. It’s noisy and isnin desperate need of a whole redo on all levels. Always a pleasure to have a meal at Brunello's. Service is great! Perfect Culver City location, (assuming the 'galleries' don't migrate en masse to DTLA..., the next trend before they migrate back to Culver City and the like...). Always good food. Wonderfully generous with their delicious hot, homemade bread. Vegan-friendly, tolerant of "people-in-a-hurry" and just generally dependably Very Good. On a 'side note,' the woman's bathroom has always had a funky smell, maybe more a "city sewer" issue, but I think they have tried to improve it... Not at all a reflection of anything else. The restaurant is very clean and elegant-but-casual. 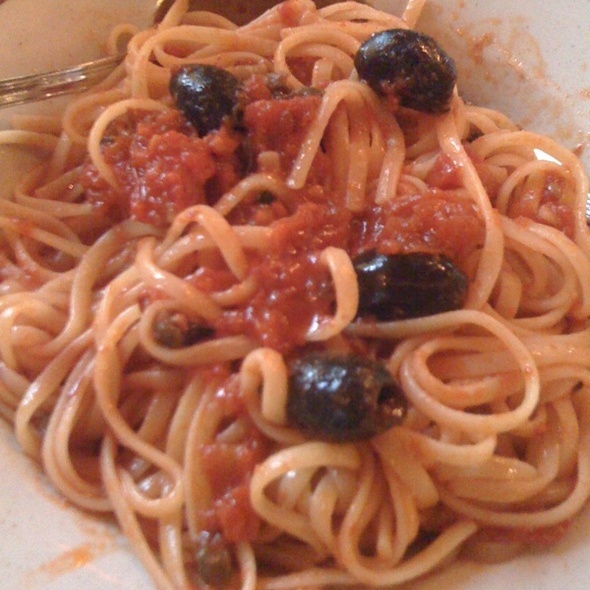 Brunello Trattoria is a very enjoyable neighborhood restaurant. Good food at reasonable prices. The bread is outstanding. Hard not to fill up on it before your meal arrives. Always great food and great people. One of our favorite places. I frequent Brunellos often. I brought my father there for his birthday and he enjoyed it so very much that I believe he’ll be going back probably As much as I currently go! Good food, pleasant atmosphere, nice service. Location is a little out of the way, but it's worth it. We had several pastas, pear salad, and chicken marsala. All authentic and flavorful. Very Disappointed. We tried this restaurant based on good Yelp reviews. We ordered the Daniele Pizza and the linguine with clams. The pizza was good but ordinary. The linguine came as a very small portion and had no taste whatsoever other than the salt water that the clams were probably soaked in. We will not be coming back here. At the east end of Culver City, away from the tumult of downtown Culver City. Specials every night; participates in Dine L.A; street parking. You'll go back. All of the dishes were good. Two comments: my husband’s boat ragu was not chewable. He left the meat on the dish. My friend said that her sole was salty. Desserts were enjoyable! We will be back for a regular dinner, not Dine LA. It is wonderful to find a delicious, healthy neighborhood restaurant. It is easy to get to, easy street parking, friendly staff and good food. Came in for their Dine LA lunch tasting. It was very good and a phenomenal value. Rather unexpectedly large portions and endless drinks. We had a lovely lunch and the service was impeccable! My family and I have eaten dinner at Brunello Trattoria a number of times and have always been pleased with the service and the food. I decided to eat there for lunch during Dine LA. Unlike other restaurants that participate in Dine LA, where there are just two or three choices for appetizers and/or entrees, Brunello offered four choices of appetizers, including soup or salad, and six choices of entrees, plus a soft drink for just $15.00. 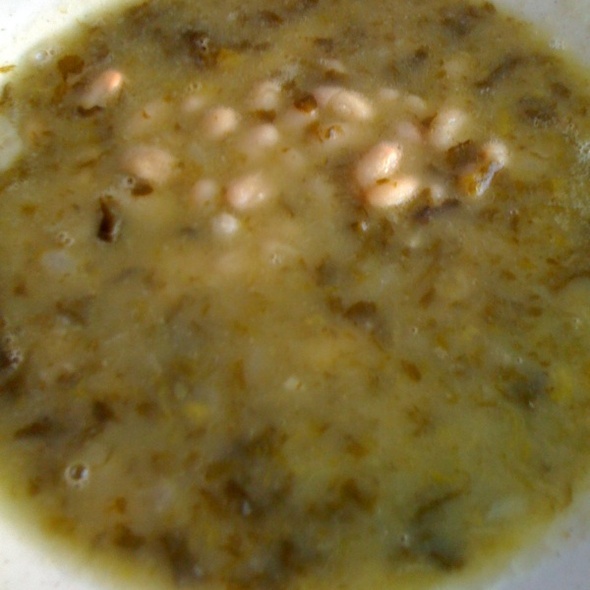 The chef creates all soups without dairy products, and pasta dishes incorporate many fresh seasonal vegetables, cooked al dente. Both the soup with asparagus and potato and the tri-colored fettucine that I chose this day were delicious. The regular menus for lunch and dinner are comprehensive, and there are always a number of specials each day. The risotto, made with whatever the chef decides on a daily basis, is always wonderful. 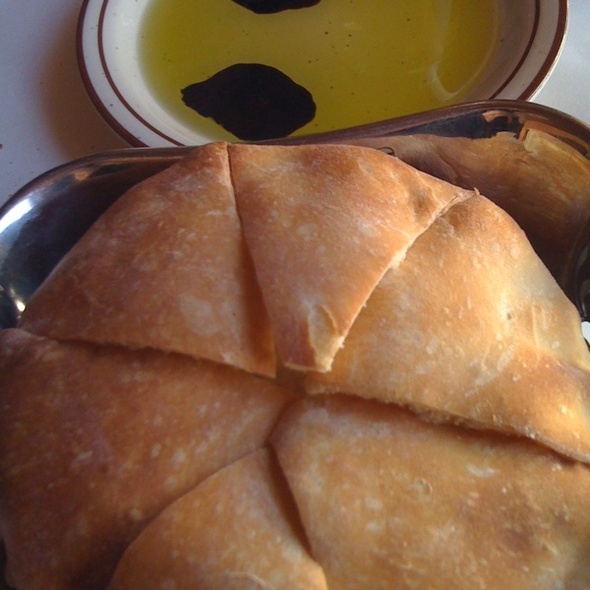 And the Tuscan bread and olive oil are divine. The wait staff is pleasant and knowledgeable. The only complaint that I have is that the acoustics are such that noise is a factor, especially given the proximity of the tables. Otherwise this restaurant is a go-to neighborhood place for very good Italian food. This is an excellent family Italian restaurant. The puree of artichoke and potato soup was unique and delicious. 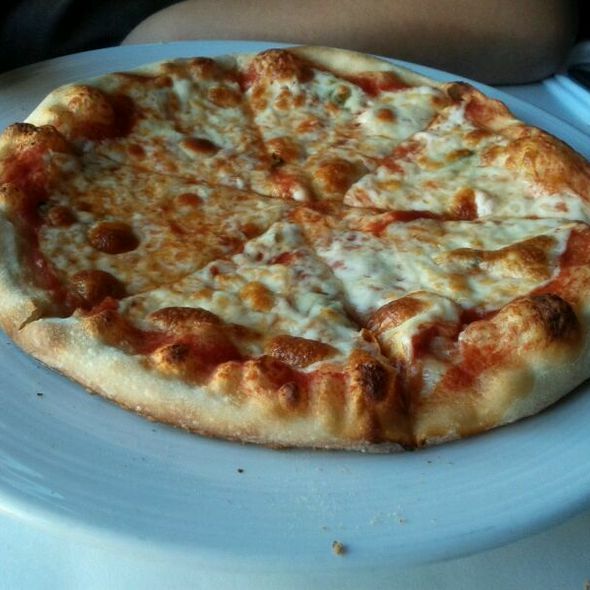 My nephew's Pizza Capricciosa was perfectly prepared as was my Fettuccine Tre Colori. We dined for lunch, and would definitely return for lunch or dinner. Great food lovely ambience but a bit too noisy where we were sitting. All in all terrific place conveniently located and always consistent. 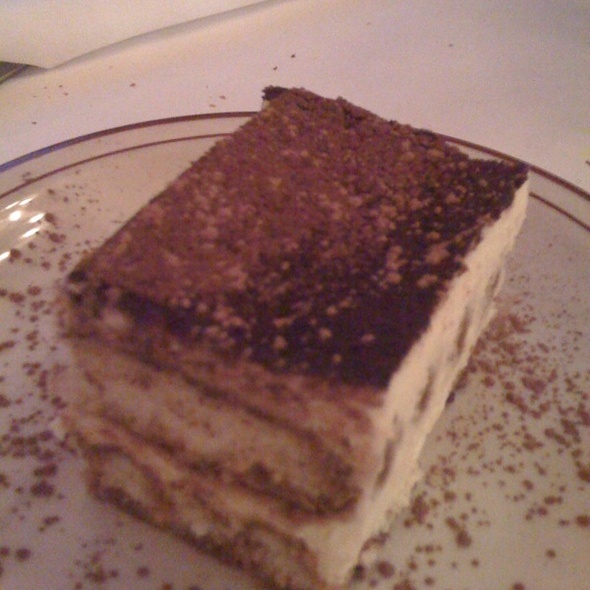 Loved the crab cakes and tiramisu. The atmosphere could use some punching up - some wall decoration or something and the food was very average. 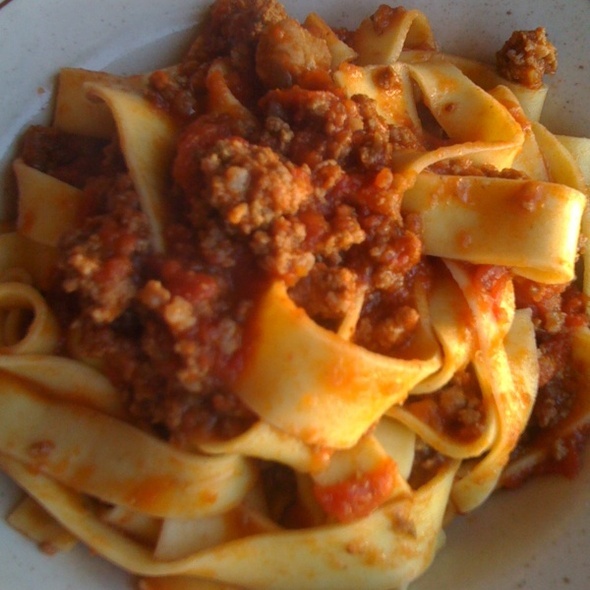 Brunello Trattoria is a favorite for us. From the true Tuscan-style bread to the wonderful entrees, eating there is always a delight. The ambiance and service is welcoming and friendly. Brunello Trattoria is a neighborhood gem. The food is delicious, the portions ample and the waitstaff was very good. Service was very good, I'm a manager and 30year veteran in the food and beverage industry. I suggest you give this place a try. I will be back with more friends to impress. Food is consistently great at Brunello. Service is at times a little slow, but not so much a problem. Great food and service..haven't been here for a while and will be back sooner, rather than later. The Chicken risotto was nice, and the halibut was tasty but a tad over done.Overall a good meal for a family night out. Accommodates variations of the menu. Pizza bread with dinner is terrific. Large portions. Specials daily. 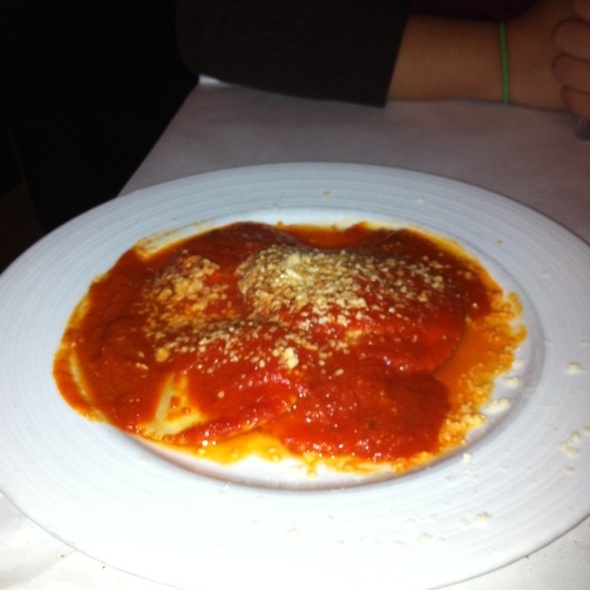 We have been to Brunello's several times and never came away disappointed. The food is good, the portions are ample,the service is friendly and attentive and the prices present a good value. The food we had was excellent from their pounded shrimp appetizer over a bed of so many greens, to my salmon farfalle and my husbands chicken parmesian - also pounded. Our friend had the calzone and liked it. The atmosphere is blah - they need to do upgrades from a ceiling link to just not being either as modern or more charming and if they can figure that out, they should be packed non stop. 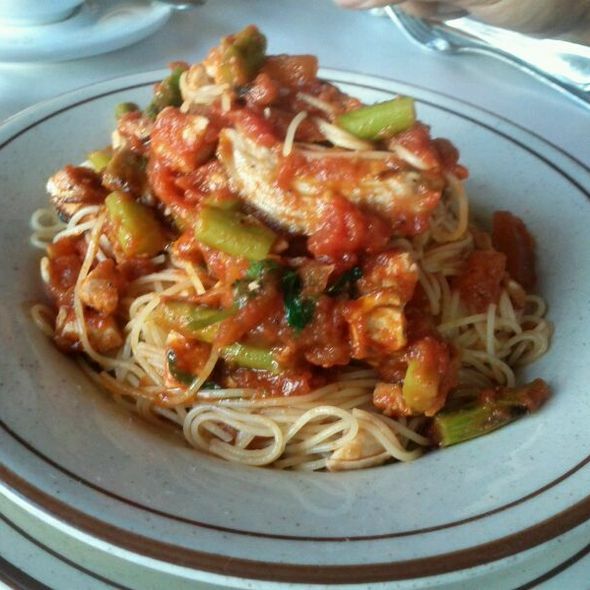 Really one of the best Italian meals we have had in Los Angeles. And we have eaten a lot of Italian. This place is awesome. Real Italian food at a great price. I lived in Italy for several years and haven’t found an Italian restaurant that gives me the same feeling as some of my favorites in Italy, until now! Outstanding neighborhood trattoria. Unique menu items, very well prepared. A favorite of ours.